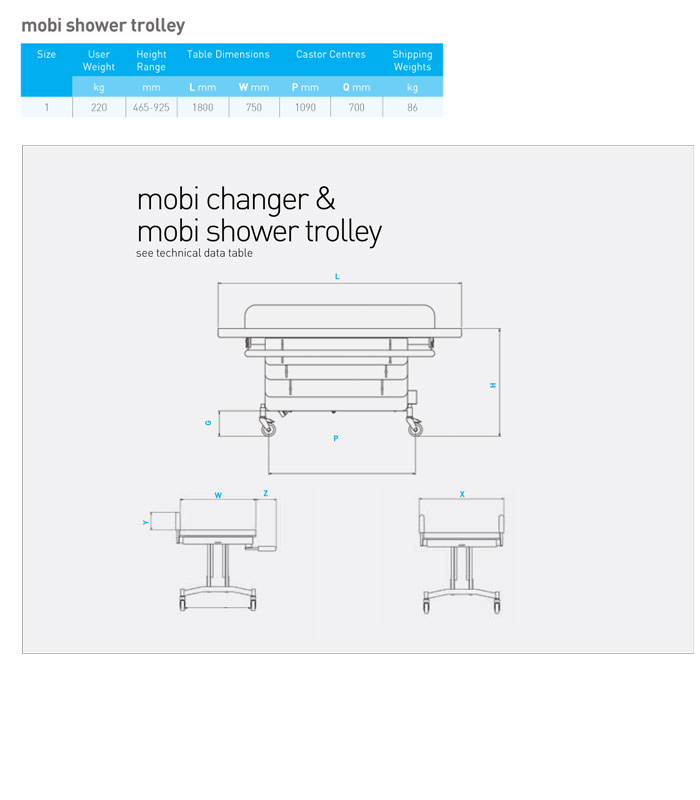 The Mobi Shower Trolley is a powered height adjustable shower trolley specifically designed to enable safe and easy washing or showering of your patient whilst in a reclined/supine position. Mobile and easy to manoeuvre, the Mobi Shower Trolley can be easily wheeled to and from any wet-room, making it an ideal bathing solution for a wide range of care settings. Four locking castors prevent movement during transfer.